On 20th August 2017 primatologist and author of many popular books on animal behavior Frans de Waal admitted in a 3 hour interview in the Dutch television program Zomergasten that he did eat meat. He admitted it after being confronted with this fact by the interviewer Janine Abbring. He defended it with the argument that eating meat is part of what he called 'the natural life cycle'. At the same time he condemned the meat industry for not being animal friendly . He said that we should reduce meat consumption with perhaps 50%, or produce artificial meat from plants, and that we should treat the animals we do eat better. Further he said that one third or a quarter of the public is ready for paying attention to how animals are treated before they are eaten. The meat industry is very recalcitrant and is paying attention to profits only, he added. If you would visit places where meat is produced as often as you visit a zoo, you would be worried. However, those places are no-go areas. We must break that open. We must make people more aware of how chickens are treated before they end up on our plate, he said. 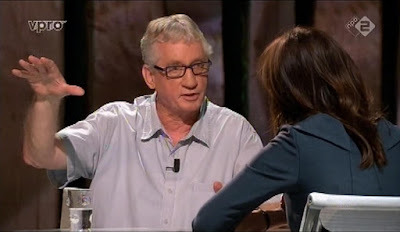 Janine Abbring interviews Frans de Waal (youtube). 28 sec video fragment with English subtitles (my translation). 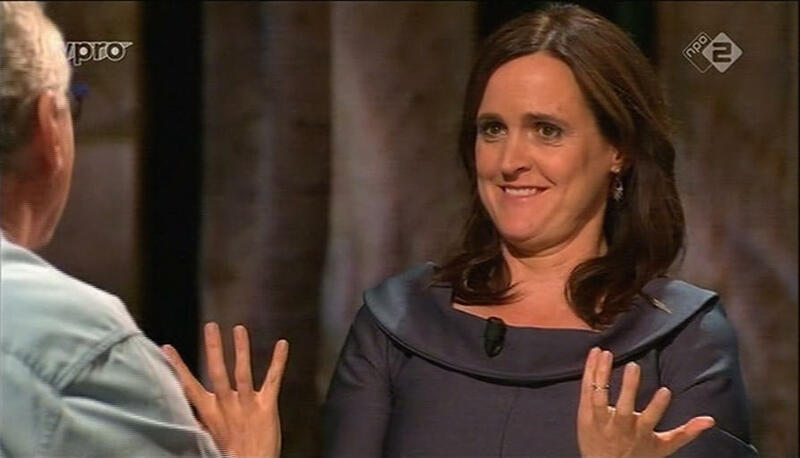 Janine Abbring: But you do eat meat, isn't it? Frans de Waal: Yes, but that is a completely different problem. Janine Abbring: How van you think these two points have nothing to do with each other? I find his meat eating habit completely unexpected and his subsequent defense very disappointing. First, he keeps eating meat in full knowledge of the deplorable situation of the millions and billions of animals in the meat industry. How can this be? If you know something is bad, a morally acting person stops doing it, or at least does everything in his power to stop doing it. His remarks about people being ready to eat less meat contributes even more to the confusion. He himself is not ready? Second, he gives a naive and since long discredited defense for his meat eating habit. He calls it 'the natural cycle of life': in nature animals eat animals, we are being consumed by worms after our death, etc. But this clearly is a form of the naturalistic fallacy. Nobody denies the existence of carnivores in nature, but we cannot derive moral values from that fact. The argument is equivalent with: "I eat meat because lions eat meat". He could have easily taken his beloved chimps as a moral example, because they are omnivores just like us and are evolutionary closer to us than lions. Chimps and bonobo's do eat meat occasionally ,. But formulated as "I eat meat because chimps do" makes the naivety of the whole idea perfectly clear, and so is the whole 'natural cycle of life' idea . It amounts to "nature red in tooth and claw", the very principle he vigorously opposed in his book The Age of Empathy . There is another problem with his argument. If meat eating is natural, then reducing meat consumption is unnatural. How does he derive reducing meat consumption from 'the natural life cycle'?. The most intellectually disturbing fact is that he knows the "is/ought distinction" in his book The Bonobo and the Atheist . He knows that the naturalistic fallacy is a fallacy or at least that it is very problematic. Nature's Lessons for a kinder society? Third, on Dutch television he told he eats animals, but in his books De Waal never told his readers he does so. Now, one could argue that it is a personal matter and not our business at all. However, his books are not neutral scientific reports about animal behavior. On the contrary. He explains we live in the age of empathy and teaches us 'Lessons For A Kinder Society'. 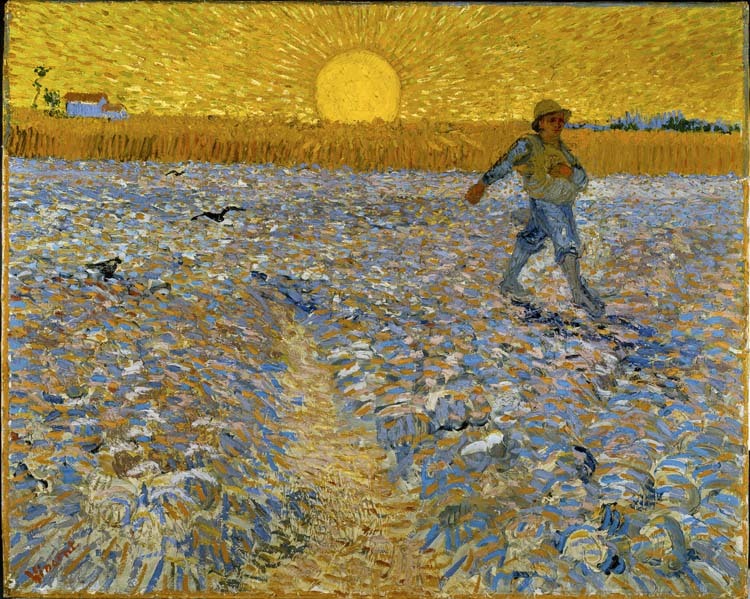 In The Age of Empathy he writes about himself: "Empathy is my bread and butter", describes himself as an animal lover: "I love and respect animals", and: "In my own research, I avoid causing pain or deprivation". In an interview  he tells us: "I myself have never done any invasive studies in chimps". In an essay in Nature he writes: "people systematically underestimate animals" . 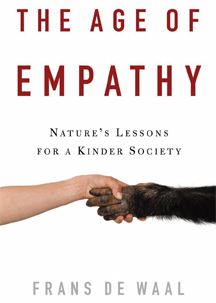 In 'The Bonobo and the Atheist' he teaches: "Everything science has learned in the past few decades argues against this pessimistic view that morality is a thin veneer over a nasty human nature." . Apart form his personal views, his science was never disinterested academic research to be published in scientific journals only. He broke old scientific taboos by attributing traditionally human qualities to animals, such as "empathy", "sympathy", "altruism", "consolation", "fairness", "conflict resolution", "peacemaking" and by giving names to individual animals; he is against emphasis on the nasty side of nature, selfishness, aggression, conflict, competition. Please note all these topics have to do with the social life and morality. Morality shows up in book titles: Good Natured. The Origins of Right and Wrong' and: Primates and Philosophers: How Morality Evolved. In other words: all his books are in fact about morality. And that is not morality in a purely descriptive way. He wants us to learn from animals. Not just anything, but moral lessons. So, knowing his personal and scientific background, the kind of books he writes, the message he wants to convey to the world, the way he is portrayed by scientific journals (for example by PNAS), it is deeply disturbing that he admits eating animals. How can he be serious about a kinder society? Doesn't he include the animals he eats in his society? He practices a double standard: Chimp Haven, and Hell for the animals he eats. He knows the meat industry is a hell for animals, he blames the meat industry for not being friendly to animals, but he takes no responsibility for his own actions. Here the 'nasty human nature' comes to the surface. His critique of the meat industry is not serious. What did he learn from his lifelong study of animals? He preaches empathy and sympathy for animals, but he practices killing animals. If anybody in the world is expected to be a vegetarian, it would be Frans de Waal. Just like Jane Goodall he should be on the list of famous vegetarians. TIME magazine honored him with the title "the 100 men and women whose power, talent or moral example is transforming the world". Sadly, he is not a moral example. He could be a very influential moral example when he practices what he preaches: admit that his defense of eating meat was wrong and become a vegetarian. He should condemn the meat industry in certain terms based on knowledge and facts and take action accordingly. Further, as a scientist he should encourage the study of the natural behavior of the animals we eat, including empathy, just as he studied apes, monkeys and elephants ,. I am suggesting this title for his next book: "Confessions of a leading primatologist". Frans de Waal: "Of course, vegans don’t want to hear that story!" 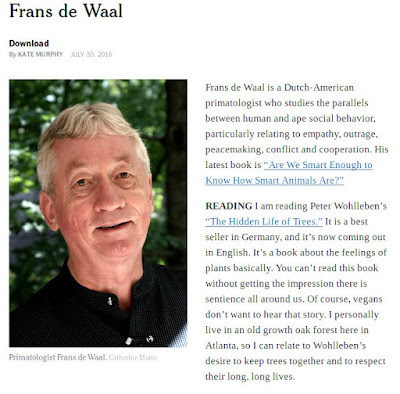 Kate Murphy interviewed Frans de Waal in the New York Times (July 30, 2016). De Waal succeeded to insult vegans ("Of course, vegans don’t want to hear that story" ); claims to respect fish but at the same time eats them; and "draws the line at primates". ("So I have gained a lot of respect for fish. Yes, I do eat fish. I draw the line at primates"). How can you eat and respect fish at the same time? Explain that! Especially his jab at vegans is vicious and nonsensical. He bases his attack on the book The Hidden Life of Trees: What they Feel, How they Communicate' and seems to imply that vegans are hypocrites and should stop eating trees (and maybe all plants?). This 'critique' is nonsensical because plants don't have a central nervous system and can't feel pain like animals. In fact he is the real hypocrite because he eats plants and very likely has wooden furniture in his house, which also contains many wooden doors. Additionally, he eats all those animals that can 'feel and communicate'. Furthermore, since he 'draws the line at primates', he does not exclude eating dolphins, elephants, dogs, cats, octopuses, crows and Grey parrots, to name a few intelligent animals that certainly can feel pain and communicate. Please, explain that. Apparently, de Waal did not even begin to think systematically about 'drawing the line'. "They're far more carnivorous than was once thought. They eat over thirty-five different species of vertebrates." p.137 Our Inner Ape, paperback 2005. In fact any claim that meat is a necessary component in the human diet is refuted by millions of vegetarians world-wide. But this is a different subject. The Bonobo and the Atheist, chapter 6, paragraph 'When "Is" meets "Ought", page 162-165. It is however a somewhat muddled discussion. It should not be confused with the claim that many of the building blocks of morality have an evolutionary origin which is a scientifically sound claim. The expression "morality grounded in biology" is confusing, because it suggest a morality is founded on biology, which is impossible. 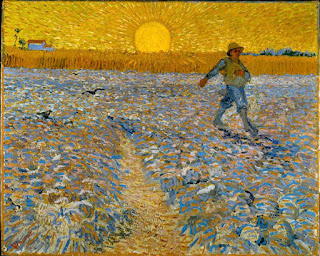 A previous version of this blog appeared in Dutch on 12 September 2017. Olivijn, de steen der wijzen. Olaf Schuiling, emeritus hoogleraar in de geologie van de Universiteit Utrecht is 85 maar nog steeds actief in het promoten van olivijn tegen klimaat opwarming. Op 11 augustus hield hij een lezing bij Bouwman Boeken in de Bilt naar aanleiding van het verschijnen van zijn boek Olivijn, de steen der wijzen. 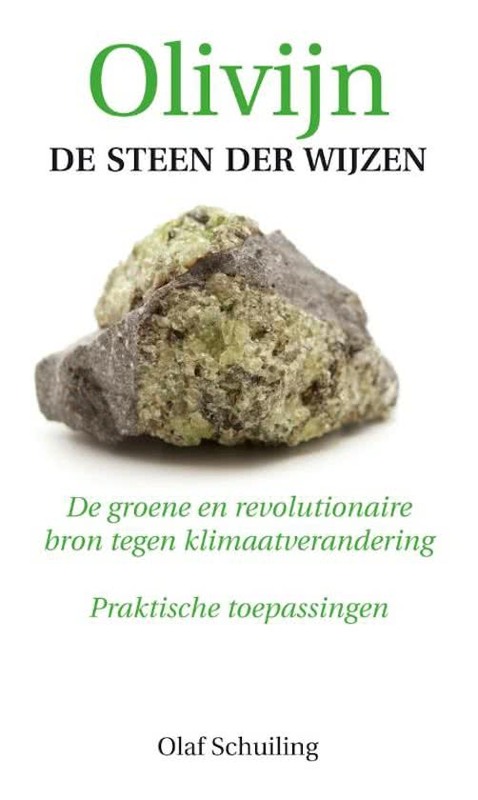 Met ondertitel: 'De groene en revolutionaire bron tegen klimaatverandering. Praktische toepassingen'. Theorie beslaat maar een klein deel van het boekje. Het grootste deel bestaat uit praktische toepassingen van olivijn op zeer diverse terreinen. Olaf Schuiling blijkt een geoloog-uitvinder van olivijn toepassingen te zijn. Ongebruikelijk voor een academicus/geoloog. Het praktische gedeelte bevat aardige, vaak verrassende wetenswaardigheden, en hoogtepunten en dieptepunten in zijn levenslang gevecht om gehoor te vinden voor zijn ideeën. Het vertrekpunt van zijn boek is dat vulkanen in de loop van de geschiedenis van de aarde miljoenen tonnen CO2 hebben uitgestoten. Wel 300 miljoen ton . Als dat 4,5 miljard jaar (de leeftijd van de aarde) zo is door gegaan, dan is de CO2 concentratie (een broeikasgas!) dermate hoog dat de temperatuur van de atmosfeer opgelopen zou zijn tot 500 graden Celsius! En zoals we allemaal kunnen constateren is dat niet het geval? Dus moet die CO2 op de een of andere manier 'verdwenen' zijn. De verklaring: olivijn neemt de CO2 op. CO2 wordt stabiel vastgelegd. Olivijn is het meest voorkomende mineraal op aarde (p.31, wist ik niet). We zouden de aarde nu een handje kunnen helpen door vermalen olivijn uit te strooien bijvoorbeeld langs stranden om het verweringsproces te versnellen. Dit is in het kort zijn idee. Zoals gezegd gaat het grootste gedeelte van het boek over praktische toepassingen. Niet alle toepassingen hebben iets met het klimaat te maken. Voor mij geeft de benadering van prof. Schuiling een andere kijk op het oude vraagstuk waarom de aarde een leefbare planeet is (Planetary habitability). Die leefbaarheid wordt o.a. bepaald door de temperatuur. En die temperatuur wordt mede door het CO2 gehalte van de atmosfeer bepaald. Weliswaar heeft de aarde door middel van vulkanen een onophoudelijke hoeveelheid CO2 in de atmosfeer gestoten, maar gesteenten (o.a. olivijn) hebben altijd die CO2 afgevangen en opgeslagen. Dat er zo gigantisch veel CO2 door vulkanen is uitgestoten en weer door gesteenten is opgeslagen wist ik niet. (Planten hebben ook altijd een handje geholpen door CO2 op te nemen. Maar de mens produceert nu zoveel CO2 dat natuurlijke processen het niet meer bij kunnen houden. Dus moeten we de natuur een handje helpen. Schuilings motto 'Laat de aarde helpen om de aarde te redden' is verwant aan het idee van zelf-regulatie van het systeem aarde (James Lovelock ). Door zijn kijk op de zaak realiseerde ik mij dat het in de atmosfeer pompen van grote hoeveelheden CO2 op zich niets nieuws is in de geschiedenis van de aarde. Het zijn de hoeveelheden en de snelheid waarmee de mensheid CO2 in de atmosfeer pompt die ongekend zijn. Iedere uitvinder krijgt er mee te maken. Ook Olaf Schuiling vecht tegen de bureaucratie om zijn low-tech olivijn oplossing toegepast te krijgen in Nederland of daarbuiten. Zijn projecten zijn in principe allemaal grootschalige projecten buiten het laboratorium waar je dus medewerking nodig hebt van ambtenaren en ministeries. Politici zijn meer geïnteresseerd in high-tech oplossingen, zo lijkt het en vinden zijn methode verdacht simpel. Zelfs sommige kleinere lokale projecten stranden door gebrek aan medewerking van bestuurders. methode om olivijn ui te strooien over de aarde. Zoals David MacKay meesterlijk heeft uitgelegd in zijn Sustainable Energy - without the hot air heb je voor grote effecten grote oppervlaktes nodig en dat is het probleem. Olivijn kan dan wel een low-tech oplossing zijn, maar je hebt er wel grote oppervlaktes voor nodig wil het een meetbaar effect hebben op het klimaat van de aarde ,. Er zijn ook positieve reacties op zijn voorstellen: "Ik heb de universiteit nog nooit zo snel zien reageren. Diezelfde middag hadden ze al een patent een patent ingediend voor deze manier om industriële afvalzuren onschadelijk te maken". (p.109). En voor een experiment kwam er steun van de STW (Stichting Technische Wetenschappen) (p.112). Een onverwacht neveneffect (in cognitieve zin) van zijn olivijn oplossing is dat in de ogen van Schuiling duurzame energie als zon en wind helemaal geen prioriteit hebben! Fossiele brandstoffen zijn helemaal niet zo erg. We kunnen immers alle CO2 dat we met zijn allen produceren gewoon afvangen met olivijn! India mag nieuwe steenkoolcentrales bouwen, als ze maar olivijn uitstrooien (p. 24). Daar ben ik niet zo blij mee, want we moeten alles aanwenden om de wereld duurzamer te maken. 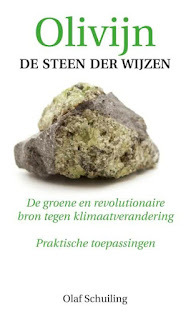 Conclusie: een aardig boekje, dat je in een paar dagen uit hebt, en wat mij nieuwe inzichten gaf op het gebied van geologie, klimaat en de geschiedenis van de aarde. ik heb wat olivijn op oude sierklinkers in mijn tuin gestrooid, het lijkt er op dat ze 'schoner' zijn geworden (als het in contact komt met water). Dat zou kunnen omdat olivijn ook voor zandstralen van gebouwen wordt gebruikt. In het fraaie boek De ontdekking van de aarde. het grote verhaal van een kleine planeet (2012) van de geoloog Peter Westbroek komt het woord 'olivijn' niet voor in de index, terwijl het boek een geïntegreerde behandeling van de geologische en biologische geschiedenis van de aarde geeft. Merkwaardig! Volgens de meest recente schattingen zou het zelfs 600 miljoen ton CO2 per jaar zijn. Bron: Robin Wylie (2013) Long Invisible, Research Shows Volcanic CO2 Levels Are Staggering. Op pag. 28 geeft Schuiling toe dat we ieder jaar een oppervlakte ter grootte van Nederland onder een 16 cm dikke laag olivijn moeten bedekken. Zijn verweer: Nederland hoeft dat niet in zijn eentje te doen! En: op de oceanen uitstrooien kan ook (p 59). Volgens Schuiling is er 25 miljard ton olivijn per jaar nodig, dat is een volume van 7 km3 (kubieke kilometer). Daar heb je grootschalige mijnbouw voor nodig, erkent Schuiling. Met 4 ton olivijn kun je 5 ton CO2 vastleggen. James Lovelock (The Ages of Gaia, paperback, 1988, 1995 pp126-127 geeft aandacht aan de rol van planten bij de opname van CO2 in de grond.